Improved deal? : Banks that had agreed to loan money to a consortium of PE firms to buy Home Depot Inc. are now pressing for better terms. New York: The whispering persists. Can private equity (PE) firms that committed to all those super-sized leveraged buyouts get out of them? Amid the ever tightening market for corporate debt and a roller coaster of a stock market, it is a question being asked all over Wall Street. Investors are already betting that some of the biggest deals may collapse or be renegotiated. For example, shares of SLM Corp., the parent of student lender Sallie Mae, are 19.5% below the price that a consortium had agreed to pay. 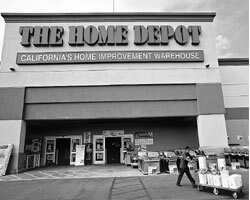 Adding to the speculation about transactions that have been announced, but have not closed is Home Depot Inc.’s announcement last week that it was in talks with a consortium buying its wholesale business, over whether it would accept less than the agreed $10.3 billion. A new deal could be reached as early as this week, people involved in those talks said, at a price much lower—perhaps more than $1 billion lower—than originally agreed upon. While it is unclear which deal is on the verge of collapse, PE executives acknowledge that they are studying the possibility for dozens of deals. Transactions involving buyouts of finance companies or real estate are considered prime targets for renegotiation talks. Divestitures of divisions could also come under fire. PE firms are being pushed to rethink deals by the banks that committed to loan the money and are now expected to rack up billions in losses by selling the debt at a fraction of what they had planned. In Home Depot’s case, the banks that agreed to loan money to the PE firms, are pressing for better terms. At the same time, the consortium—which includes Bain Capital Llc., The Carlyle Group Llc. and Clayton Dubilier & Rice Inc.—have become nervous about falling sales at Home Depot’s wholesale unit. The combination of factors led the firms to seek a better deal, threatening to walk away if they cannot get a better price. There is already precedent for renegotiation: Cerberus Capital Management, which agreed to acquire Chrysler from Daimler, renegotiated its deal just before closing, infusing more equity into the transaction and even persuading Daimler to loan some of the money. At the same time, some PE firms say they want to move forward with their deals on the terms they originally agreed upon. Kohlberg Kravis Roberts & Co. (KKR), for example, has insisted that its acquisitions of First Data, the credit card processor, and TXU will be completed. People close to the firm say they believe that price of those deals are still fair. Indeed, the multiples on utilities such as TXU have risen since the deal was reached in February. “We made commitments to the boards of directors," George R. Roberts, a co-founder of KKR said in a conference call last week. “And we expect those transactions to close." On top of that, PE firms may be loath to walk away from deals in which they are slightly overpaying. The firms would have to find another investment opportunity, a process that could take months, if not years. And with higher interest rates and the credit crisis, making a new deal could prove challenging. Even after the Federal Reserve cut the discount rate on Friday at which banks can borrow from it directly and opened the door to cutting its benchmark funds rate—rocketing the Dow up some 230 points—PE executives said that the credit markets remained frozen and they were still concerned that the market may not open up anytime soon. Earlier in the week, Tony James, president of The Blackstone Group, said on a conference call, “The sense that people will come back right after Labour Day is way too optimistic." He added, “It will take a while to work through these issues." Changes in the way PE firms do business has made it easier for them to get out of deals. One recent invention of the latest buyout boom is something called a “reverse-break-up fee". The fee, usually about 3% to 5% of the total value of a deal, gives PE firms the ability to walk away at any time and for any reason. Such a mechanism did not even exist three years ago. PE firms were typically bound to buy the company they agreed to acquire or risk being sued. “No one likes to pay the size of these possible payments, tarnish their reputation as a bad player or admit to your investors that you made a bad decision, but sometimes cutting your losses is the better part of valour. Or at least, it is a good negotiating chip," Steven M. Davidoff, assistant professor of law at Wayne State University Law School wrote on his blog, M&A Prof Law Blog. Davidoff pointed out that it would cost Samuel Zell $25 million to walk away from his acquisition of The Tribune Company, a deal which has been thrust into doubt amid the credit market chills and a downturn in the company’s business. “Not bad on an $8 billion transaction," Davidoff quipped.